When, and more importantly who invented solar panels is a complex question. While we can pinpoint the major steps towards its invention, countless researchers and scientists over the last 200 years each contributed small breakthroughs that led to the modern solar panel. Solar panels are a complex technology that allows us to harness and utilize solar energy in a way that no past human society has ever been able to. Today, let’s look at the history of the solar panel to see if we can find out when, and by who, solar panels were truly first invented! As the sun’s been around much longer than solar panel technology, it stands to reason that humans historically found a way to use the sun’s heat. From the 7th century BC to the 1200s BCE, societies across the world used the sun’s energy by designing buildings with large windows or openings that allowed the sun’s warmth to permeate the buildings. In addition, Greeks, Romans, and Chinese used mirrors and lenses to start fires and light torches. After that, individual scientists and researchers in the late 1700s and 1800s made small steps in more efficiently using the sun’s energy – from solar ovens used in expeditions to Africa to solar-powered steam boats. The big break though came in 1876, when William Grylls Adams along with his student Richard Evans Day, discovered that selenium (an element discovered in 1817 would create an electrical current when exposed to light. Just 7 years later, Charles Fritts, an American inventor, created the first solar cell by layering selenium onto a gold backing. At less than 1% efficiency, this cell was grossly inefficient, but a huge step on the path to solar panels. And although selenium wasn’t powerful enough to produce any usable amount of energy, it proved that a substance with no moving parts could create electricity from the sun. As numerous individuals patented different solar cell inventions in the 1890s and early 1900s, Albert Einstein published a paper on the photoelectric effect, the basic building block of solar cells. 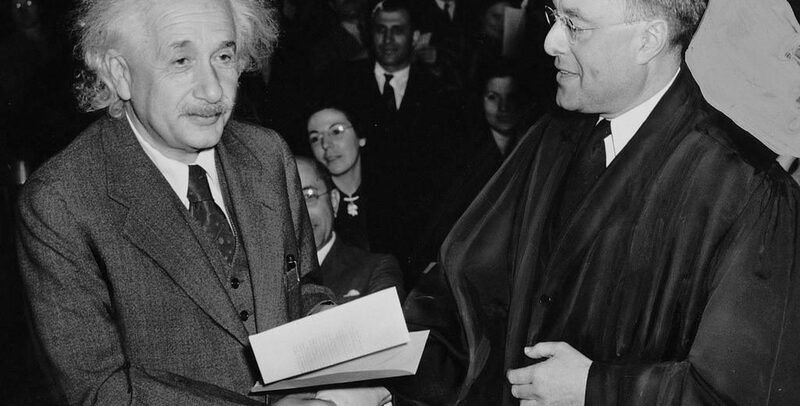 While initially met with skepticism, this work eventually won Einstein the 1921 Nobel Prize. The real beginning of the modern solar panel started with Gerald Pearson, a physicist at Bell Laboratories. In the spring of 1953, he was experimenting with silicon, one of the most abundant elements in the universe, for use in electronics when he inadvertently discovered that he could create a much more efficient solar cell using silicon instead of the selenium traditionally used in harvesting solar energy. Two of his colleagues, seeing the importance of this discovery, quickly created the first solar cell efficient enough to power small electronics. With this, the modern solar panel was born. However, the solar cell’s low efficiency (at just 4% efficient) and extremely high cost ($300 per watt, compared to $0.50 per watt in 2014) made this new technology out of reach for large applications, and interest was only from toy and radio makers, who put the cells in toy boats, beach radios, and model airplanes. Seemingly doomed to powering unnecessary trinkets, one creative application was about to come along that would propel the solar panel in front of the entire world. The fledgling solar panel industry was about to get a serious boost from an unlikely partner. Seeing that, unlike batteries, solar panels could produce power indefinitely, after much dialogue the US Navy decided to use them on their new, top-secret satellite projects. While solar panels were cost-prohibitive here on earth, they were an economically viable option for the space program’s large budget. For their very first earth-orbiting satellite, the Vanguard, the Navy installed both solar panels and batteries. This set the precedent of using solar on space flights and after that, both the United States and the Soviet Union continued using solar panels on space flight, culminating in the first use of solar panels for a manned spacecraft, the Soviet Union’s Soyuz 1 (which was unfortunately plagued by technical issues and whose one-man crew died during landing – the first-ever spaceflight casualty). This joining together of space travel and solar power continues today, with the iconic International Space Station sporting large solar arrays. 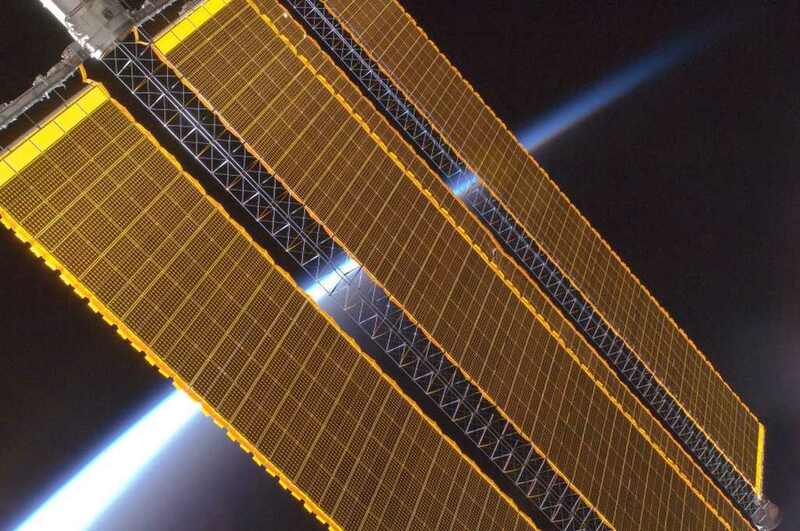 The solar arrays of the International Space Station. Image Source: NASA via Wikimedia commons. Public Domain. While solar was being sent up to space, scientists and researchers on earth continually tried to increase the efficiency, as well as lower the costs of solar panels to make them viable for more varied applications. Throughout the late 1950s and 1960s, solar panel efficiency jumped 1% at a time – from 4% to 5%, then 6%, 8%, and so on – finally culminating in a 14% efficiency cell (for reference, most solar panels today are about 18% efficient, so 14% was a significant achievement 50 years ago). In addition, due to research into new manufacturing processes, the cost of solar was dropping drastically. When solar panels were first available commercially, they cost $300 watt. Soon after, they dropped to $100. By the early 1970s, the price had dropped to just $20/watt. With this progress, solar panels were becoming more and more affordable for everyday use. In the 1970s, spurred by a new interest in renewable energy, itself brought on by the 1970s oil crisis, solar became somewhat of a hot topic, with Jimmy Carter even installing solar panels on the White House. In 1972, the University of Delaware created the first laboratory dedicated to photovoltaic research. This laboratory helped create the world’s first solar-powered home, pioneering energy feed-in, where a homeowner puts excess electricity back into the utility grid (on which today’s net metering is based). As prices dropped lower and lower and efficiency rose little by little throughout the 1980s and 1990s, solar became more and more ubiquitous, leading to today’s current solar boom! So there you have it, the invention of today’s solar panels wasn’t an “Aha!” moment from a single individual. It was literally hundreds of years of research from a multitude of individuals, with each new finding building on those before. And now that we have the solar panel, what invention is next? Over the last few years, there’s been an explosion of exciting new solar breakthroughs, from completely transparent solar panels, to solar paint, to Toyota’s solar powered car. Only time will tell what the next great world-changing invention will be.